This photography and documentary project by Carlotta Cardana and Danielle SeeWalker documents Native Americans living in America. With a mixture of landscapes, portraits and documentary photography, this series aims to highlight inspiring stories and images of Native American people through a mixture of photography and writing. Not only are these images really beautiful, they serve a second function too – highlighting an often marginalised part of American society. To learn more about the Red Road Project, take a look at their website here. This entry was posted in Photography and tagged Documentary, photography, Red Road Project on October 31, 2018 by stellenboschacademy. It’s always a lot of fun to see brands take on seasonal changes in their design to offer something a little different or interesting to their consumers. This work by 121 does just that, in such a fun way. In Mexico, the day of the dead or Dia de los Muertos is a celebration of those no longer with us, similar to Halloween, but with a very defined aesthetic. To celebrate that, 121 helped TicTac create a seasonal variant in Mexico, with skulls printed directly onto the TicTacs themselves. This ‘sugar skull’ design was also applied to the labelling on the packaging itself. This entry was posted in Design and tagged 121, Design, Dia de los Muertos, Illustration, Packaging, TicTac on October 29, 2018 by stellenboschacademy. When we saw this project we just had to share it! Adamo is a Hungarian company that makes baby swings and hammocks for kids. They paired up with design studio Classmate Studio, who did the packaging for these products – creating an offering that is just incredible from start to finish. The products themselves are beautifully designed and considered and the packaging is absolutely top notch. Who said design for babies and children couldn’t be innocent, fun and considered all at the same time? This entry was posted in Design and tagged Adamo, Classmate Studio, Design, Packaging, Packaging Design, Product Design on October 26, 2018 by stellenboschacademy. Third year student, Bianca Pesch, designed this wine label for Savage wines, which will go into production soon. It will be so exciting to see it on the shelves! Read more about the process below! This entry was posted in Uncategorized on October 25, 2018 by stellenboschacademy. Jacco Bunt is an illustrator working out of Rotterdam in the Netherlands. We can’t get enough of his classically-inspired symmetrical style! You can see more of his work on his Behance profile here. This entry was posted in Illustration and tagged Illustration, Jacco Bunt on October 24, 2018 by stellenboschacademy. We love this campaign by Traktor Wien for SalzburgMilch, a dairy producer in Austria. They built the idea of a very simple idea, which translated means: Cheese is art. Using bread, cheese and other sandwich ingredients – they created miniature, edible versions of famous paintings. As they say – Käse ist Kunst. This entry was posted in Art Direction and tagged Art Direction, print, SalzburgMilch, Traktor Wien on October 22, 2018 by stellenboschacademy. Creating a really great website for a restaurant has become somewhat of an art these days. We really appreciate what The First The Last have done here for Ukrainian restaurant, Spicy No Spicy. The restaurant itself has a very well considered interior design and one can immediately see the logic in having a website to match. Great illustration, beautiful use of colour and a really nice cursor (who would have thought that would be something to mention!) make this site a really great example of a functional site that does its job incredibly well, while also being a joy to use and look at. To see more of the site, click here. 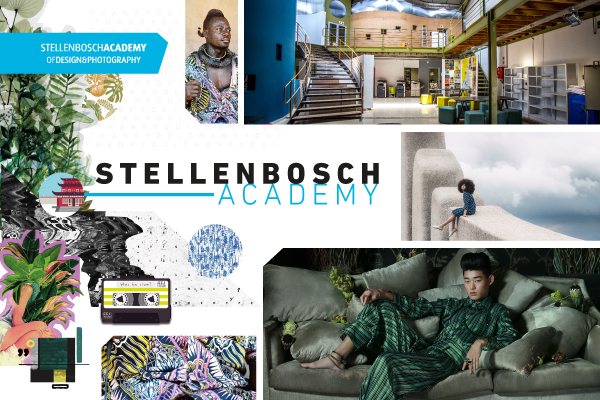 This entry was posted in Multimedia and tagged Spicy No Spicy, The First The Last, Web Design, Website on October 19, 2018 by stellenboschacademy.